Merlyn Britannicus and Uther Pendragon--The Silver Bear and The Red Dragon--are the leaders of the Colony, lifeblood to the community from which will come the fabled Camulod. But soon their tranquility is in ruins, Uther lies dead following treachery...and all that is left of the dream is the orphaned babe Arthur. Heir to the Colony of Camulod, born with Roman heritage, as well as the royal blood of the Hibernians and the Celts, Arthur is the living incarnation of the sacred dream of his ancestors: independent survival in Britain amidst the ruins of the Roman Empire. When Arthur is adopted by his cousin, Caius Merlyn Britannicus, an enormous responsibility is placed upon Merlyn's shoulders. Now he must prepare young Arthur to unify the clans of Britain and guard the mighty sword Excalibur, crafted by his great uncle Publius Varrus. 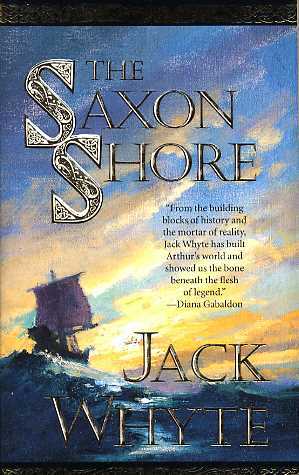 Above all, Merlyn must see that Arthur survives to achieve his ancestors' dreams--in spite of the deadly threats rumbling from the Saxon Shore.